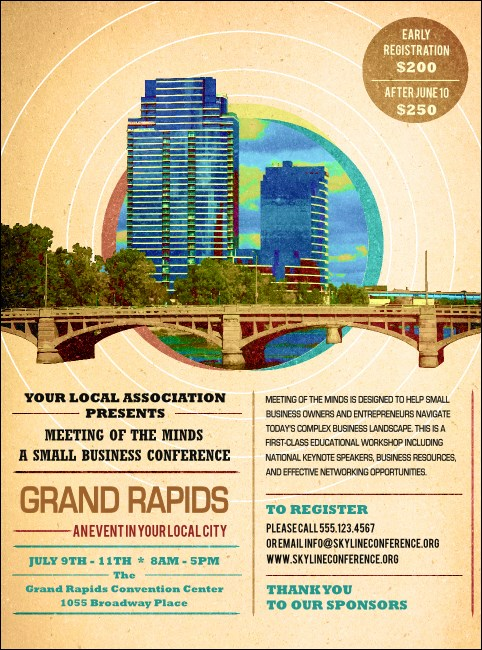 Kalamazoo may be home to the Aviation Museum, but Grand Rapids is where your events soar! Help your event take off with the Grand Rapids Flyer. Printed in bold colors, featuring an image of the Grand River, this flyer has space for all your event information. Get all of your events off the ground with custom tickets and more from TicketPrinting.com.